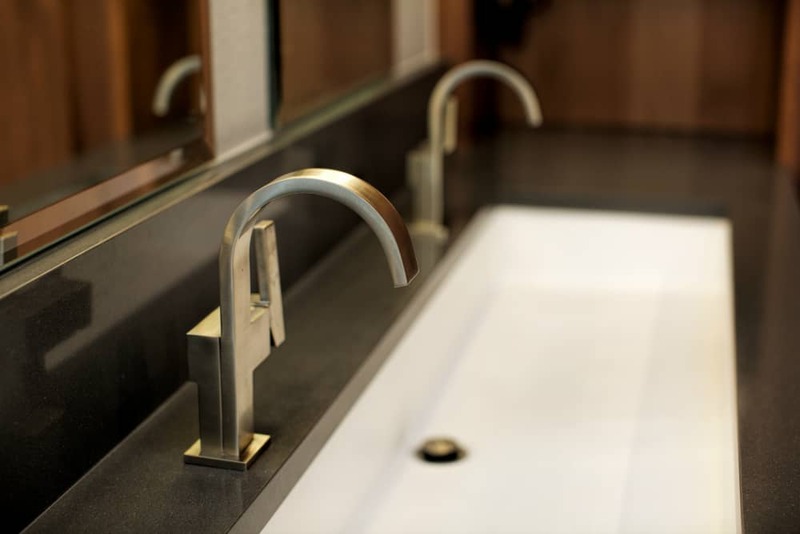 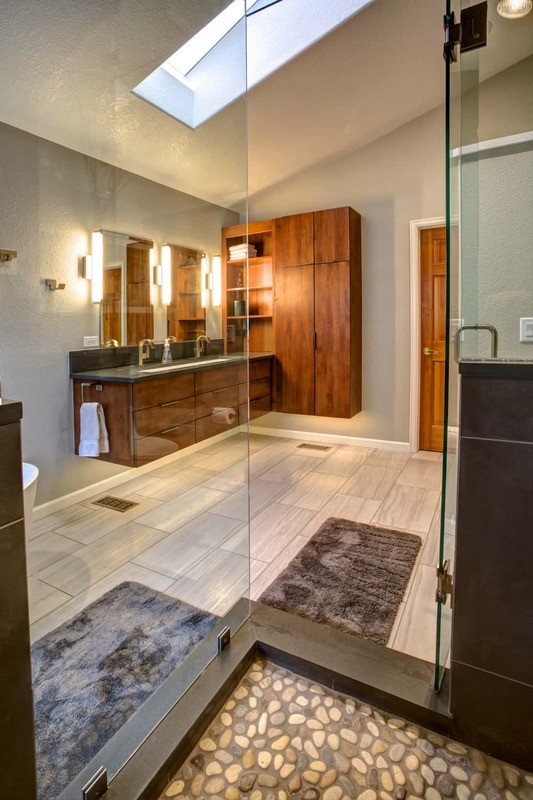 After attending one of our in-house “Transforming your Master Bathroom” lunch and learn seminars these clients signed on and allowed our team to help them design and build the bathroom of their dreams. 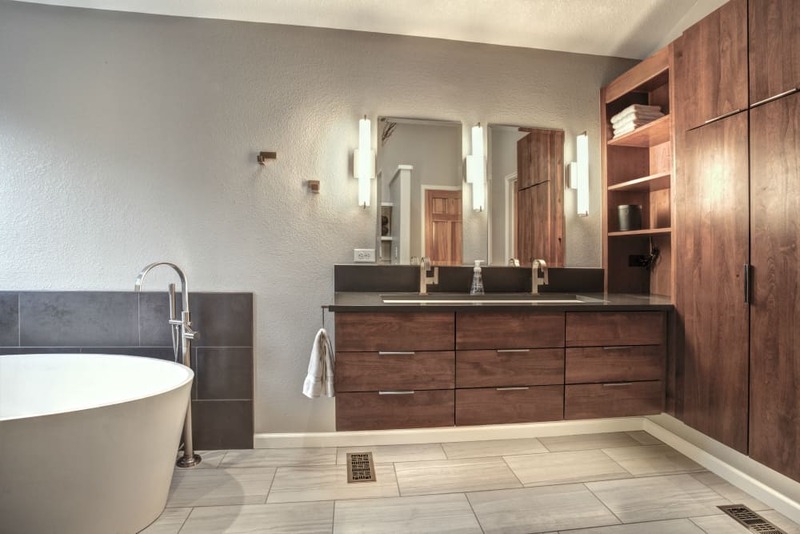 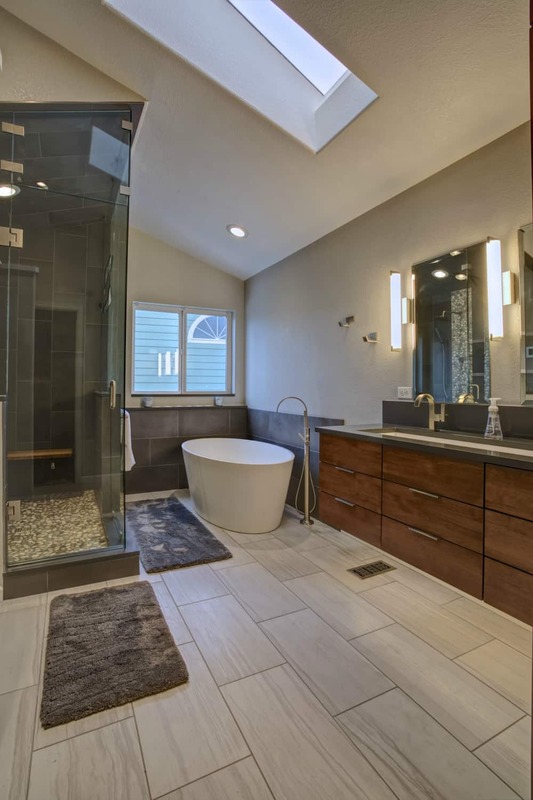 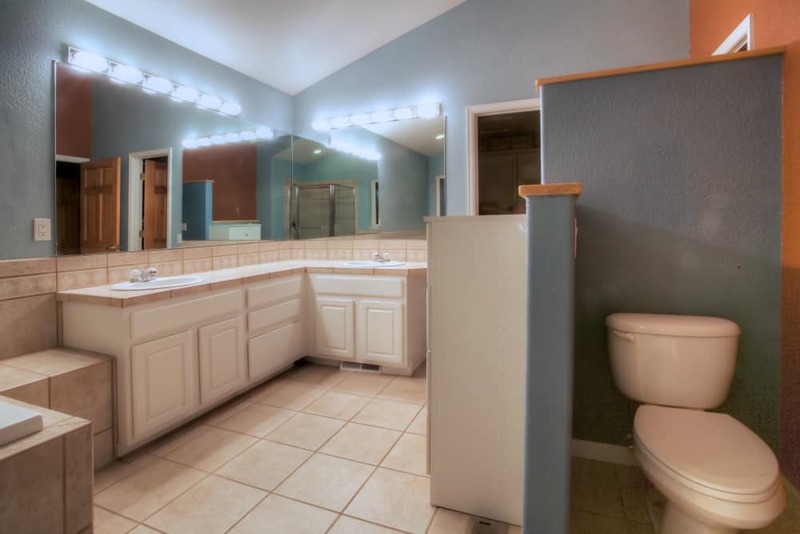 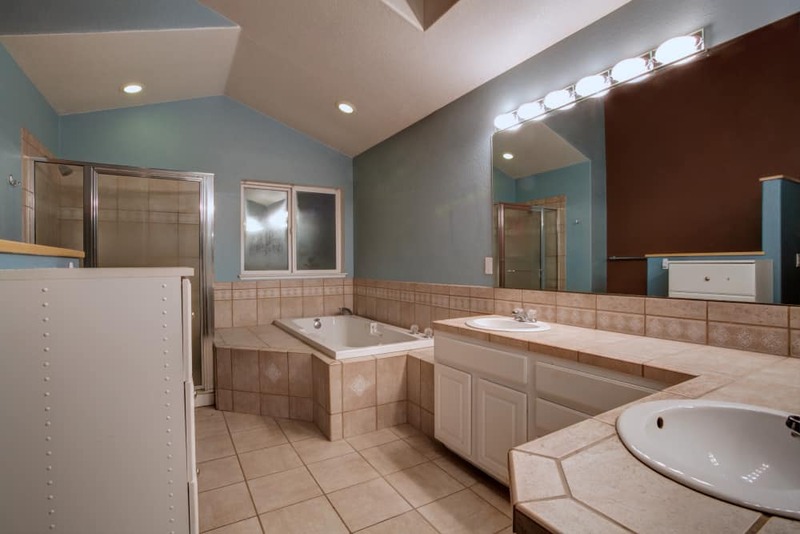 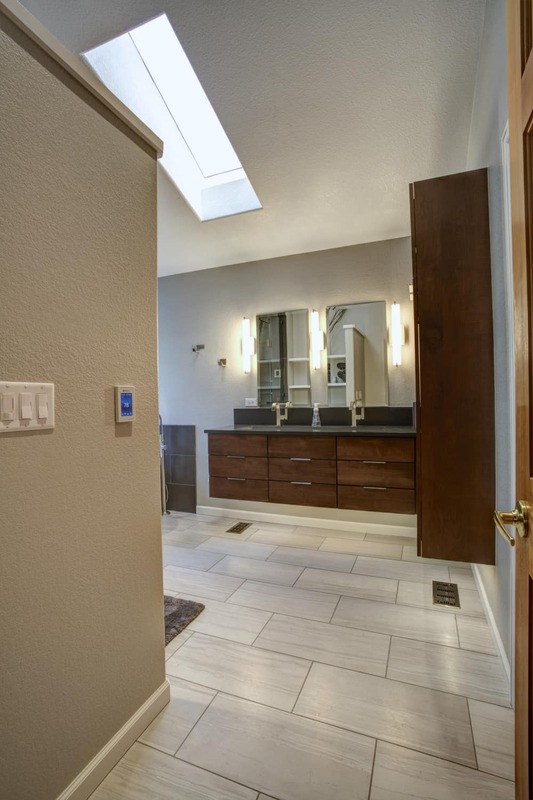 Transforming from a dated design and color palette (check out the before photos), the bathroom is now a contemporary space filled with both rich and cool tones and designed for relaxation. 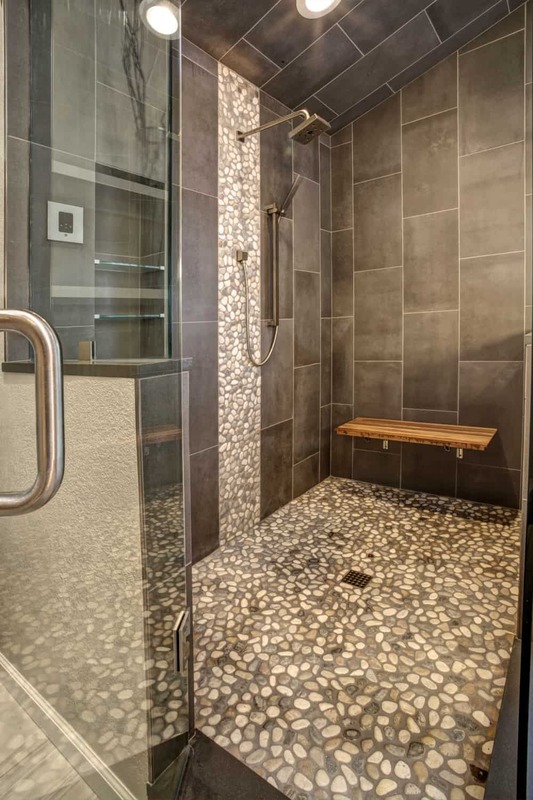 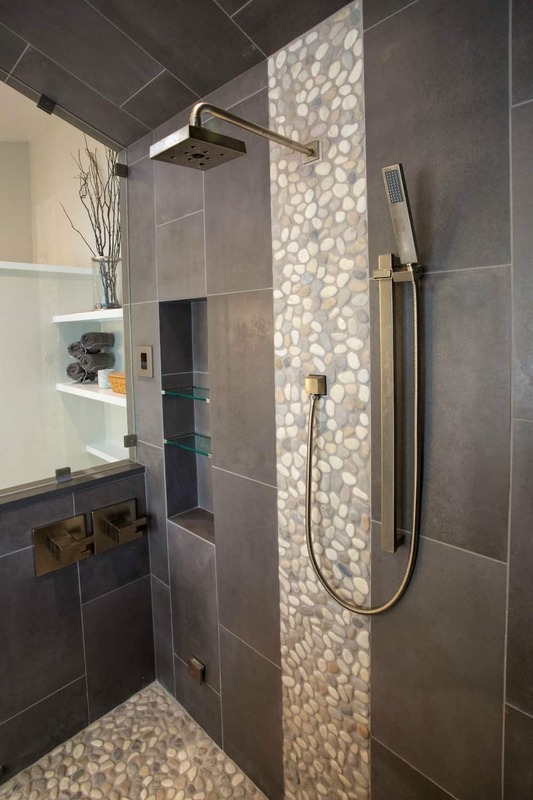 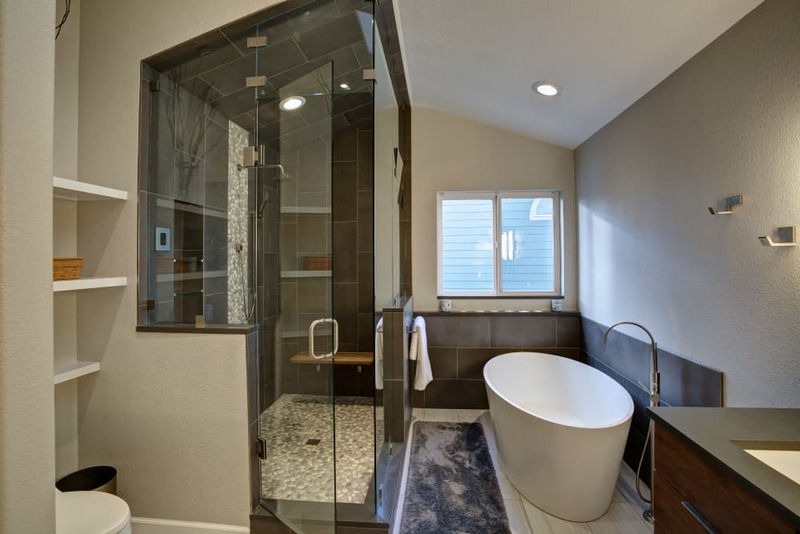 To enhance the relaxation factor this master bathroom renovation features a high tech steam shower and contemporary soaking tub. 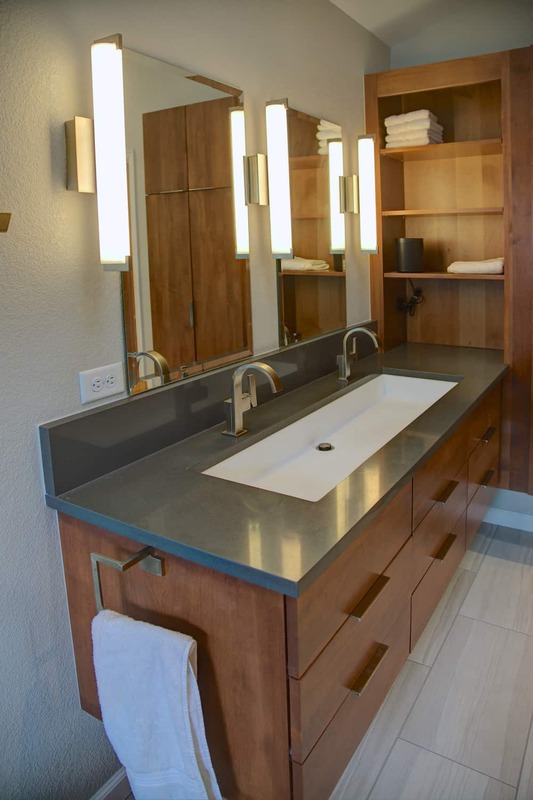 The trough-style sink adds a unique element to the space and still leaves room for two people to get ready in the morning. 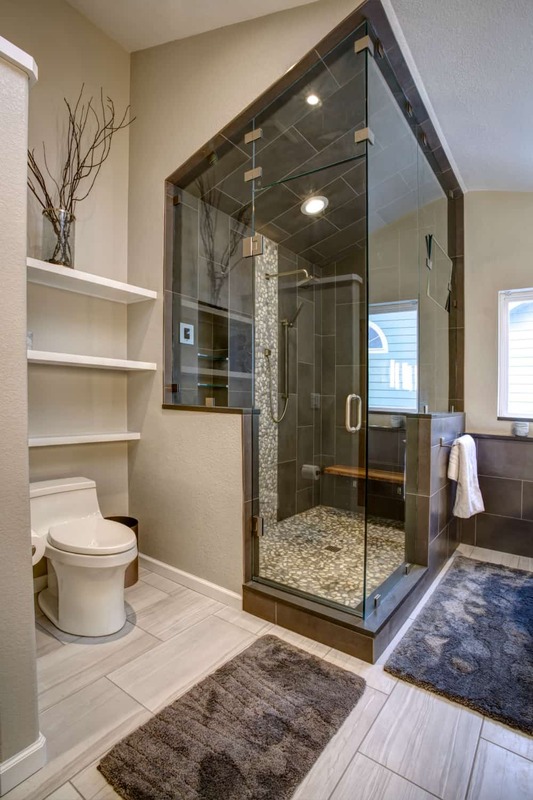 Check out what this client had to say about their experience.